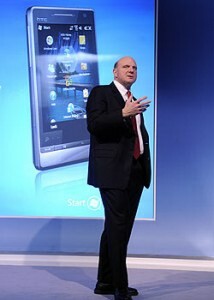 Today at Mobile World Congress 2009, Microsoft CEO Steve Ballmer unveiled Windows Mobile 6.5. 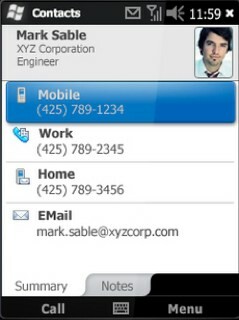 The next generation systems features a revised user interface and an improved web browsing experience. In addition, Microsoft announced some new services for Windows phones: My Phone, which can sync text, photos, video, contacts and more to the web; and Windows Marketplace for Mobile, a new on device mobile application catalogue. 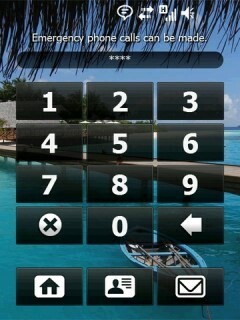 The core new features of Windows Mobile 6.5 is a new "dashboard-like" home screen and a new device unlocking system. The OS also includes an improved touch-screen interface, making it easier to perform various finger actions, and an updated version of the Internet Explorer Mobile browser. Devices featuring Windows Mobile 6.5 are not expected until the fall of this year. The free My Phone service will enable people to access, manage and back up their personal information on their device to a password-protected Web-based service, making it easier to upgrade phones without the worry of losing important information. With automatic syncing and backup, users can count on their contacts, appointments, text messages and other information being kept up to date and easily restored should they lose or upgrade their phone. Consumers also will be able to automatically upload photos and video from their Windows phone directly to the My Phone service, making it simple to preserve content that, in the past, would have lived and died on the phone. The My Phone service is currently available in a limited invitation-only beta. 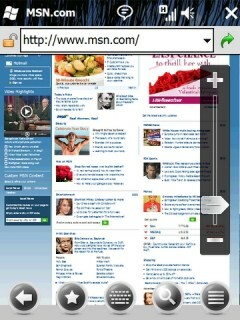 Windows Marketplace for Mobile, will also debut with the new OS. It will function as a integrated, on-device store with the ability to search, browse and purchasing mobile applications from Windows phones or from a PC by simply using a Windows Live ID. 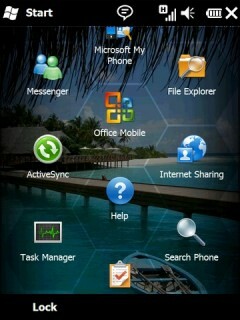 The new marketplace will be included with all Windows phones based on Windows Mobile 6.5. Developers will be able to offer applications to customers through the marketplace via a simple security and compatibility check from Microsoft. The company also announced Microsoft Recite, a voice search technology for Windows phones version 6.0 or later, which provides users with a fast and simple way to capture, search and retrieve spoken notes and reminders using just their voice without the need to navigate menus or type text. Microsoft Recite efficiently organizes a user's spoken thoughts based on same or similar terms and phrases, and is currently available as a free technology preview. Come on everyone. MS announces WinMob 6.5. This is huge news! Where's the enthusiasm? Where's Surur? wha.. what? (blinks) Is WinMob 7 out yet? No? Of the 50 million Windows Mobile phones "out there", HTC made 40 million of them. Looking forward to seeing this on HP's line of PDA's. Money is in pocket waiting to be spent. Sorry Palm, your loss. PDAs? they'll sell dozens of them! hang on to your utility belt, batman! Unlike Palm, HP is a big boy company that can produce more then one thing. They probably will sell well since they are the last to make PDA's. Many companies still have needs for these, in fact the company I work for just placed a 30 thousand dollar order for industrial PDA's. WOW! 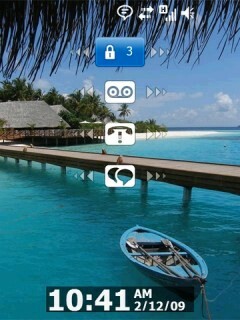 A Personal Digital Assistant! Why that could be used for so many wonderful things! You could have a task list, a calendar... Now if they could only find a way to get a phone in there... Now that would be something! Way to be future focused. Hey! Here is an idea, why not make both. nah. producing PDAs is an unwanted distraction. it diverts resources from producing products that the masses actually want. producing niche industrial commodity pdas that only sell a few thousand a year isn't smart for palm. stop clinging on to the past. don't be a dinosaur. it's 2009. let it go. it's over! Wow, you guys are clueless aren't you. You've never notice that when the FedEx guy drops off a package that he uses a PDA, or gone into a retail buisness and seen that their pricing is done with PDA's, and how do you think many of those retail businesses take invetory of their merchandise? You guessed it, PDAs. Even the freakin' Apple store uses PocketPC's. These people don't want a phone inside the device. So if you think only a few thousand of these are sold a year...well you are clueless. "Looking forward to seeing this on HP's line of PDA's. Money is in pocket waiting to be spent. Sorry Palm, your loss." I said the same thing when my TT3 died. Went out and bought a shiny new HP Ipaq 214. Struggled with it for about 6 weeks and really tried to get used to the OS, but despite the great screen had to get rid of it. Got a used TX, bought the Power SDHC driver and now I'm sorted. Will probably give WM6.5 a go, but hoping for someone to bring out a WebOs PDA with a VGA screen.